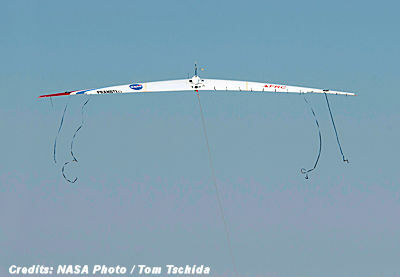 The NASA Aeronautics Research Mission Directorate has provided funds for student assistance with the flight research that has been ongoing for more than three years at Armstrong. The Prandtl-D No. 3 is undergoing the addition of instrumentation in preparation for the upcoming flights, said Al Bowers, NASA Armstrong chief scientist and Prandtl-D project manager.